Castner’s book, The Long Walk, jumps in head first when you open the book. It’s as if you are sneaking a peak into his journal. His constant battle with what he calls the “Crazy.” The survivor guilt, the brotherhood he loves and misses when at home, the wife and kids he misses when at war, and how he is struggling to deal with blast-induced trauma. It feels like you are connecting with an old friend over some good whiskey while he bares his soul to you. I stumbled on this book because Brian went to college with my husband. It wasn’t in my usual wheelhouse of topics but I thought I’d give it a shot. I will say that this book still sits with me three years after reading it the first time. It’s a look inside the mind and heart of a soldier today. This war on terror seems to be what Vietnam was to our parents. I won’t be so trivial as to say that this book is patriotic or anti-war. It’s a real account of the toll, excitement, stress and bravery needed in all soldiers throughout history. Brian is so good at his job he becomes one of the experts training new guys…or is it because he’s lucky enough to survive three tours? I still think of him describing running in the deep sand during his training and how difficult it was. 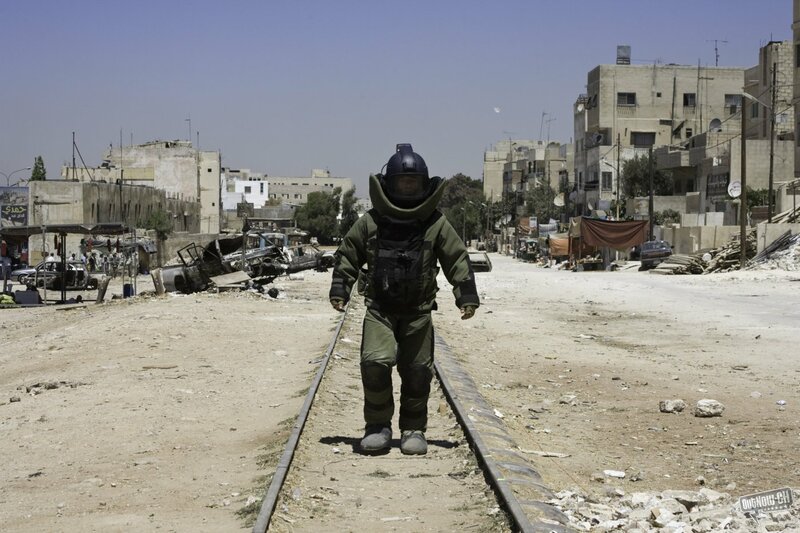 About putting on his suit and walking up to diffuse a bomb. Or after a detonation how his unit would sort through the pieces of a bomb…and sometimes body parts…to find clues to the bomb maker’s signature. I can’t imagine picking up a piece of your “brother” who rode next to you a few moments ago in a Humvee. Accepting it as part of the job and the damage it can do to your soul. Castner is a brilliant story teller. Not just about his time in the service but also trying to resolve missing the births of his children, returning home to his wife and trying to make sense of it all. Anyone looking for a real look into the military and its impact to our generation must read this book. The Long Walk is about working in the Explosive Ordinance Disposal unit. 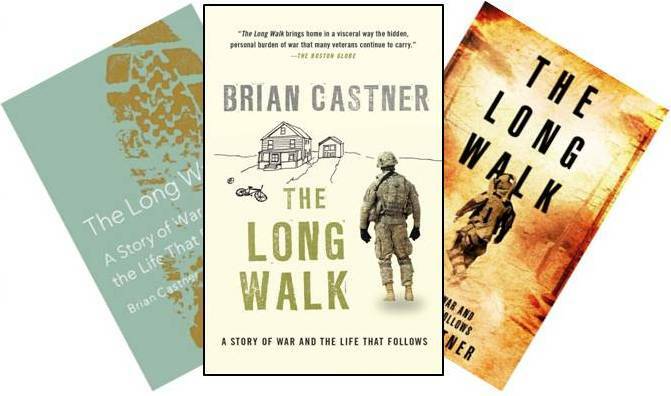 The author, Brian Castner, was serving in the Air Force and stationed in Saudi Arabia on September 11th and ended up in training for the bomb squad, aka EOD unit. He earned his degree in electrical engineering at Marquette with the help of the ROTC.